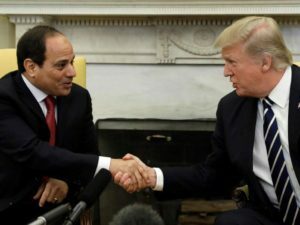 U.S. President Donald Trump on Monday held discussions with Egyptian President Abdel Fattah el-Sisi in New York, one of a series of meetings with world leaders on the sidelines of the U.N. General Assembly. 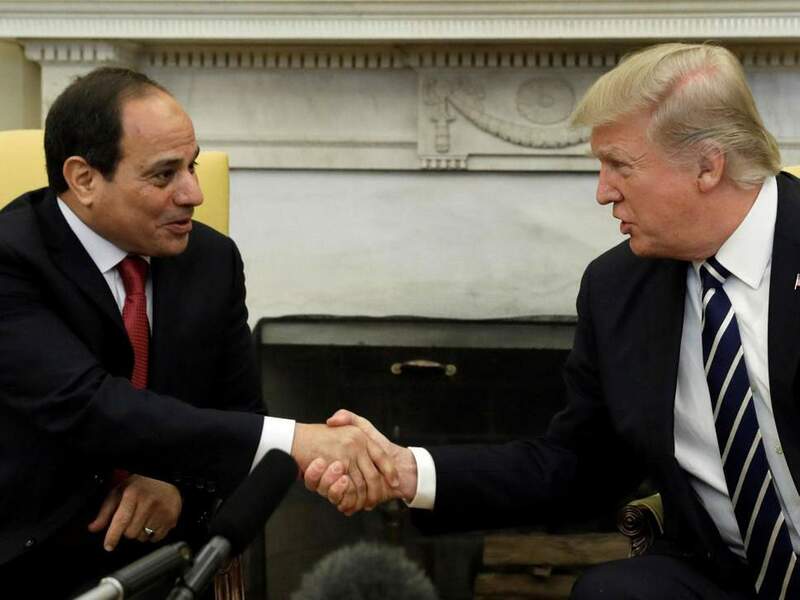 Trump also emphasized that the U.S. would continue to work closely with Egypt on challenging regional and international issues. El-Sissi on his part said Egypt will be able to eliminate terrorism with Trump’s support. It’s an obligation Trump has made clear, he said. Last year, President Trump had praised the hard-line leader for doing a “fantastic job” and soliciting his help in the fight against terrorism and violent extremists. On Wednesday, Egyptian President is expected to meet with Israeli Prime Minister Benjamin Netanyahu amid continued efforts of Egyptian intelligence to mediate a possible long-term ceasefire arrangement between Israel and Hamas. Al-Sisi is expected to raise the issue of the two-state solution, which, in the Egyptian president’s opinion, should be an essential part of the U.S. peace plan, according to Egyptian media. Written by: KanelkaTagba on September 25, 2018. Posted by KanelkaTagba on Sep 25 2018. Filed under Headlines, World News. You can follow any responses to this entry through the RSS 2.0. Both comments and pings are currently closed.